Joseph PELL (1600 -1650) was Alex’s 11th Great Grandfather two ways: He is one of 4,096 in this generation of the Shaw line through his daughter Anne. His was also one of 4,096 in this generation of the Miller line through his daughter Eleanor. Joseph Pell was born 1600 in England. His parents were William PELL and [__?__]. He married Elizabeth JAMES before 1623 in England. He emigrated in 1641 with his wife and children. He married second to Elizabeth Wright in 1637. Sources for Ann’s mother are divided between Elizabeth James and Elizabeth Wright, though none showed both. Joseph died 23 Feb 1650 in Boston. Elizabeth James was born about 1607 in England. Elizabeth died before 1637. Elizabeth Wright (Wight) was born 02 Nov 1606 in Hareby, Lincolnshire, England, and died 11 Mar 1671 in Boston, Suffolk, Massachusetts. Her parents were Robert Wight and Elizabeth Fulshaw. Her first husband was Nathaniel Eaton or Heaton, who was born in England and came to Boston as early as 1634. He and his wife Elizabeth were admitted to the Boston church, 2 Nov 1634. He was a mercer [a dealer in textiles (especially silks)], a proprietor of Boston, where he was admitted a freeman, 25 May 1636. His widow married (second) Joseph Pell, and (third ) John Minor (Maynard). The widow conveyed her dower rights in certain land, 13 May 1660. She and the son Nathaniel petitioned, 1 Feb 1664, for a division of the estate. Children: Jabesh; Mary, married, 5 May 1653, John Gilbert; Eleazer, baptized 2 Oct 1636; Leah, married Cornelius Fisher; Nathaniel, mentioned below; Elizabeth, born 8 Oct 1643. Pp. 1964-5, New England Families Genealogical and Memorial: Third Series, Volume IV . 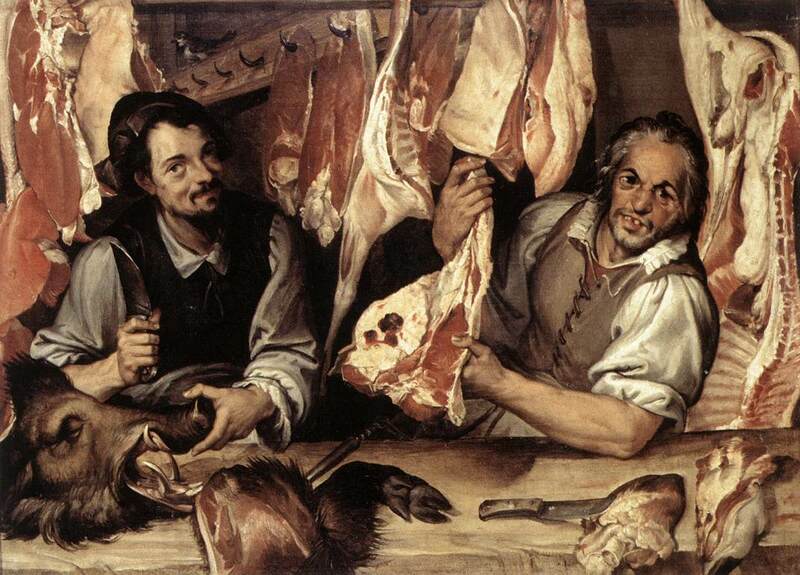 Joseph Pell was a Butcher in Boston - Bartolomeo Passerotti’s The Butcher Shop (1580s). The area known as Lynn was first settled in 1629 by Edmund Ingalls (d. 1647) and incorporated in 1631 as Saugus, the Nipmuck name for the area. The name Lynn was given to the area after King’s Lynn, Norfolk, England, in honor of Samuel Whiting. Some records show Joseph’s to be in Lynn England. 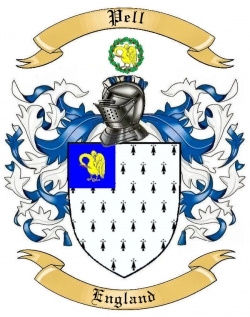 This entry was posted in 13th Generation, Double Ancestors, Immigrant - England, Line - Shaw and tagged Boston, Butcher. Bookmark the permalink.